Long-term care is a big issue in most American households. With the number of older adults retiring and needing care, more and more adult children are answering the call to become family caregivers. This entails providing physical, mental, and financial support to ill loved ones. However, the costs of long-term care in America can put anyone behind by thousands of dollars. Family caregivers face sky-high costs as they fight to keep their loved ones healthy and well. Caregivers to individuals with Alzheimer’s disease are no stranger to these circumstances. As the condition progresses, the costs of care also increase. This is why we have gathered a few financial tips that family caregivers can apply in hopes of removing some of the burdens that come with caregiving. Tip #1: Plan your own long term care early. Often, the well-being of caregivers gets pushed the backseat after they take the responsibility of caring for someone else. However, these individuals must also think of their own futures. One of the negative effects of caregiving is that it can develop or aggravate health conditions. 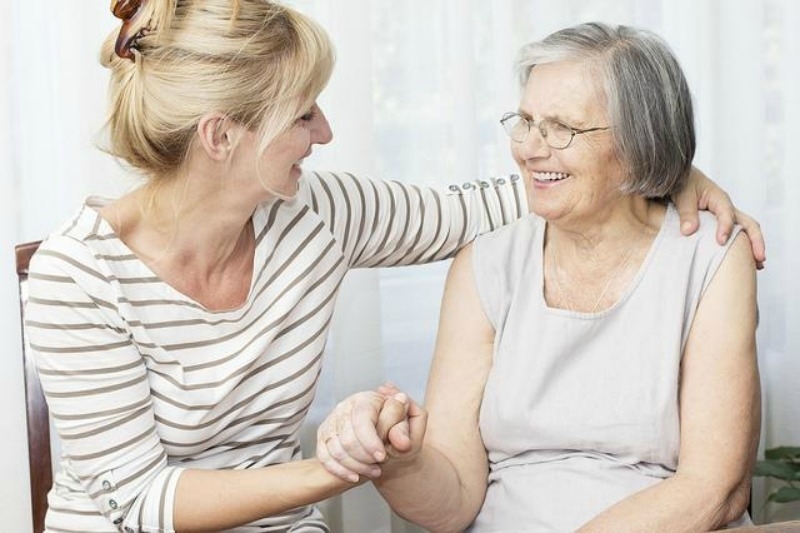 Caregivers may need the same find themselves needing the same services they are providing now. And as they pay thousands of dollars on out of pocket costs, they may not have enough to spend for their own future care needs. This is why, looking into this long term care insurance definition, caregivers are advised to get coverage that fits their needs as early as possible. By doing so, they lessen or completely avoid the financial blow that future long-term care costs can bring. Tip #2: Set a family meeting to discuss financial needs and goals. The cost of care affects the family as a whole, and this is why every member must be in the loop. Lay down all the expenses that need to be covered, and take into consideration ever person’s suggestions. Family members can also create a pool of money that they can use to pay for the care costs. Moreover, family members can take turns in fulfilling caregiving duties. This allows the primary caregiver more wiggle room in his or her schedule. This way, he or she gets to keep a stable source of income. Bear in mind that family discussions ought to include the person diagnosed with Alzheimer’s. This is why having the talk early is important to ensure that family member with the health condition is still able to understand the issue and communicate his or her preferences. Tip #3: Consult with a financial expert. Hiring professional help may be viewed as an unnecessary expense, but it can help caregivers save more dollars down the line. Financial planners can assess the situation and present valuable solutions that not many people can come up with on their own. They can guide family caregivers on how they can maximize the money that they have. Moreover, they can help identify potential financial resources, money-saving services, and tax deductions. Tip #4: Make sure that all necessary documents have been arranged. Be sure to have all the important financial documents in one place. These include bank details, powers of attorney, insurance policies, wills, Social Security payment information, and deeds. Be sure to check if any important documents have not been arranged yet. Should there be any, do not delay having them in place. Caregiving for a loved one with Alzheimer’s disease will never be easy. Studies have pointed out that caregivers of loved ones with this condition experience high emotional stress. They are also more to state that their health has suffered. However, remember that help and support are available to anyone who needs it. Excellent tips! I know with my Mother’s care we hired an elder attorney that deals with estates and long term care. She came up with so many helpful suggestions and options that it was well worth the expense. I get excited whenever I think of planning my future. Very helpful tips by the way! Your tips surely lead to one great plan for the future. this is is helpful and scary, helpful cause now i have something to think and prepare for as i grow old….scary cause…OH NO! !im growing old!….